When you are dealing with Sichma you are also dealing with a company whose stakeholders are committed to developing long term and sustainable processes. 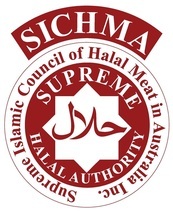 Sichma’s Halal Quality Assurance and Management System (HQAMS) is comprised of a series of internal processes that provide our company and its clients with a firm basis for achieving success. Sichma’s quality policy is designed to achieve client satisfaction. This is done by promoting high quality, safe, healthy and environmentally friendly products and services to meet our client’s needs and expectations. We are committed to continually improving our quality management systems while complying with Islamic law standards regarding dietary concepts. Staff are encouraged to study, attend conferences and travel extensively to observe international Halal compliance trends. Training is also provided to companies looking to be educated on the basis of Halal guidelines and requirements. Sichma’s is committed to a safe, clean and healthy work environment for all persons employed within the organisation, as well as those visiting the organisation. The management is committed to promoting strict adherence to occupational health and safety standards. We focus on accident prevention through emergency preparedness and safety awareness training for all staff.